Campaign Trump is back and better than ever! [...]President Donald Trump unveiled a new nickname for the Democrat running to unseat Sen. Dean Heller. 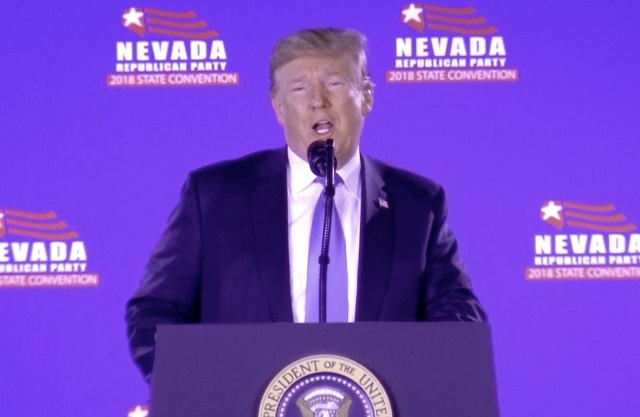 "Wacky Jacky," Trump said at the Nevada GOP convention, in reference to Rep. Jacky Rosen. "You don't want her as your senator." [...]"Wacky Jacky is campaigning with Pocahontas, you believe this? In your state! Can you believe this?" Trump said at the Nevada GOP convention. "When you see that, that's not the senator you want." The President also mocked calls for an apology for using the term. "To the memory of Pocahontas, I apologize," he said. Our president is the funniest man in America. As controversy still rages over his administration's handling of immigrant families at the Southern border, Trump said he sees the issue as immigration as a winner for Republicans in the midterms. "I think I got elected largely because we are strong on the border," Trump said. Of undocumented immigrants, he said, "if they see any weakness, they will come by the millions." The "student" joke had me bursting with laughter. This man is funnier than all the late night comedians combined, does all his own jokes, and he's the president of the United States.
.@jimmyfallon is now whimpering to all that he did the famous �hair show� with me (where he seriously messed up my hair), & that he would have now done it differently because it is said to have �humanized� me-he is taking heat. He called & said �monster ratings.� Be a man Jimmy! It was a great speech all around. 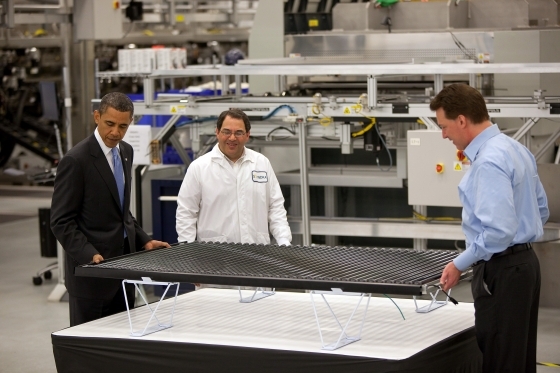 I was remembering how just two years ago Obama was shutting down industries and blocking the Keystone and Dakota pipelines while giving half a billion dollars to Solyndra for donating to his campaign. Trump approved both, repealed thousands of job killing regulations, pulled us out of the insane Paris Accord, got a pretty good tax reform bill passed and more. It's truly amazing how things have changed!